With every spray, pour, and pump. Better Life proves that the world's most powerful cleaners can be safe for kids, pets, and the planet. 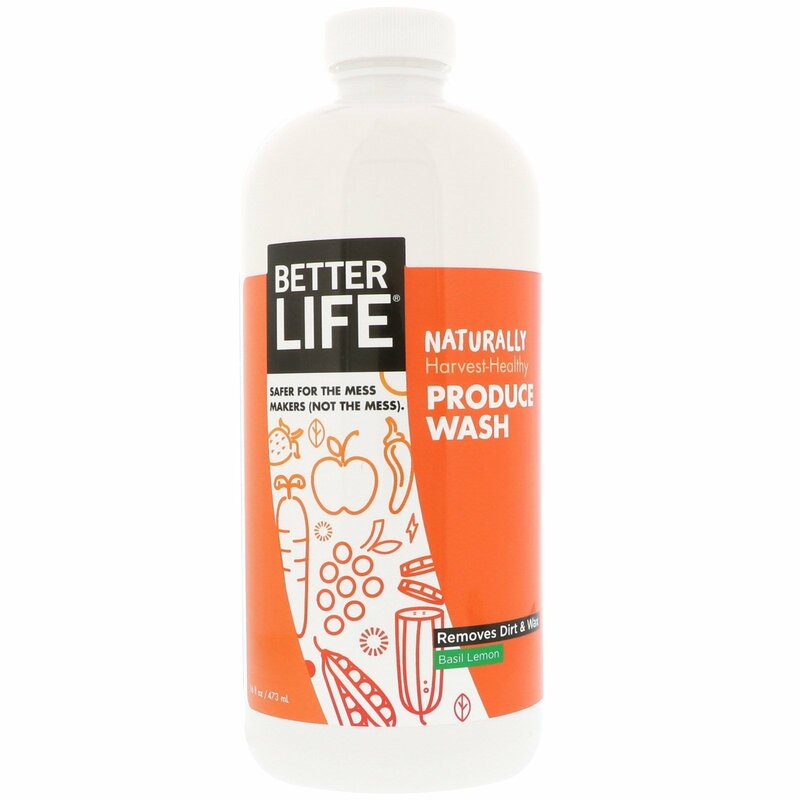 Our natural produce wash rids your kitchen of filmy grapes, gritty spinach, and waxy apples, removing residue with a powerful blend of citrus extracts. 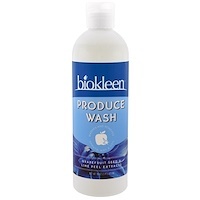 Spray directly onto produce Rub with hands or a produce brush to remove wax, dirt, and residues. Rinse thoroughly with cold water. Berries and other small fruit may be placed in a colander, then sprayed agitated, and rinsed. 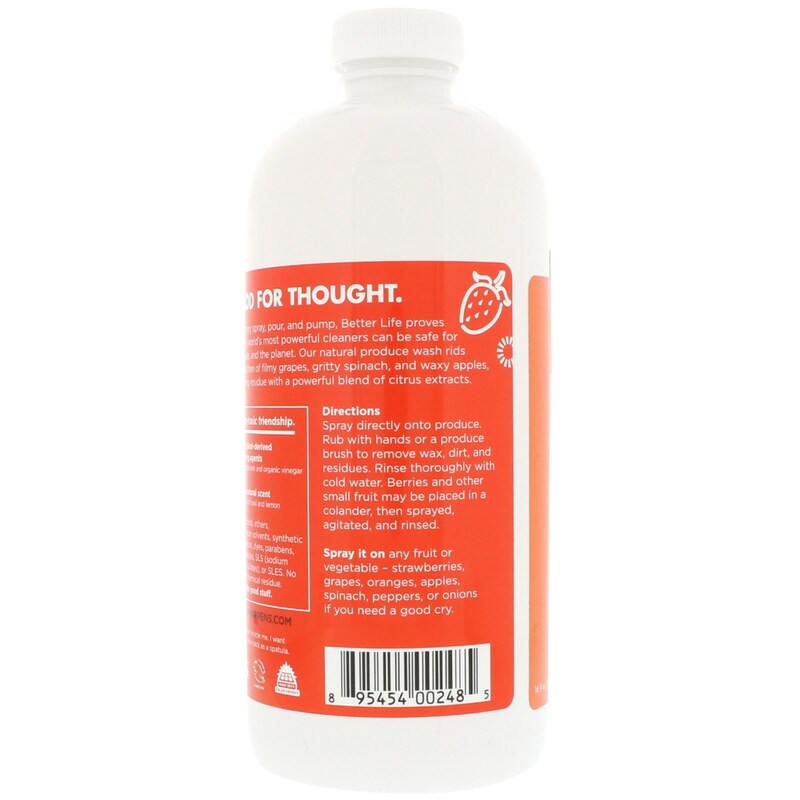 Spray it on any fruit or vegetable - strawberries, grapes, oranges, apples, spinach, peppers, or onions if you need a good cry. 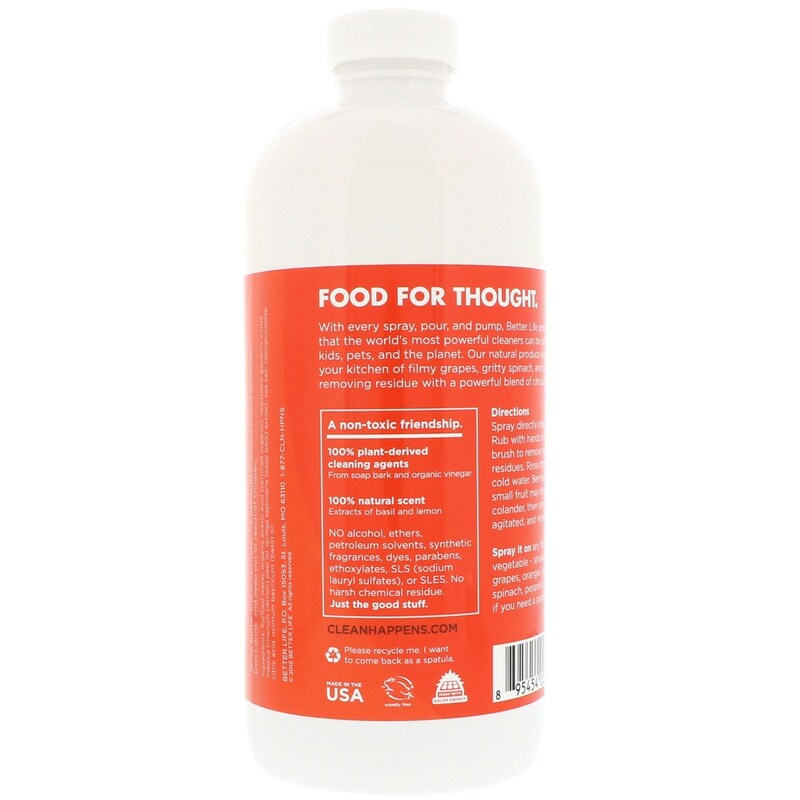 Purified water, organic acetic acid (certified organic), vegetable glycerin, citrus medica limonum (lemon) peel oil, quillaja saponaria (soap bark) extract, sea salt, cocaglucosides, citric acid, ocimum basilicum (basil) oil. No alcohol, ethers, petroleum solvents, synthetic fragrances, dyes, parabens, ethoxylates, SLS (sodium lauryl sulfates), or SLES. No harsh chemical residue. Just the good stuff.